Resubmission Requests can be made by Assessors during assessment if they are not satisfied with the student's work, require additional content, would like changes made, etc. Viewing the results of the resubmission is an important step, as can be the review of the original submission. When viewing the results of a resubmission, you will have access to the resubmission's results and those of the submission prior. If only one resubmission has occurred (totalling two submissions - the original and the resubmission) you will have access to all components of the chain when reviewing the resubmission. If, however, more than one resubmission occurred (totalling three or more submissions - the original and all subsequent resubmissions) you will only have access to the submission at which you are looking and the one prior. 4. Click on the Results Search option. 5. Using the Resubmission Requests menu select the Include Resubmission Requests option. 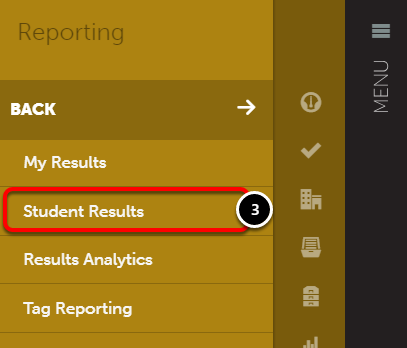 A table containing student results will appear below. Use the table to locate the Resubmission Request in question. 7. Click anywhere on the Assessment to reveal its options and select View Details. 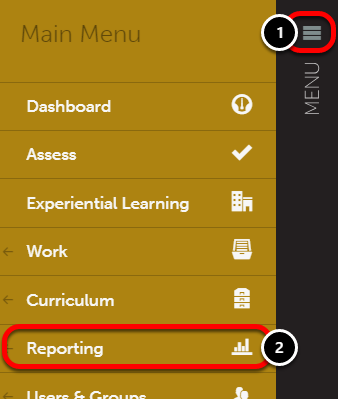 The Assessment Details screen will appear on-screen. 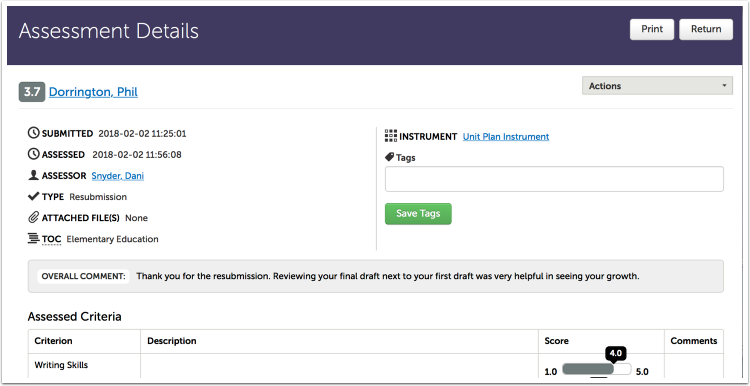 Work: Use this option to review the student work associated with the resubmission. 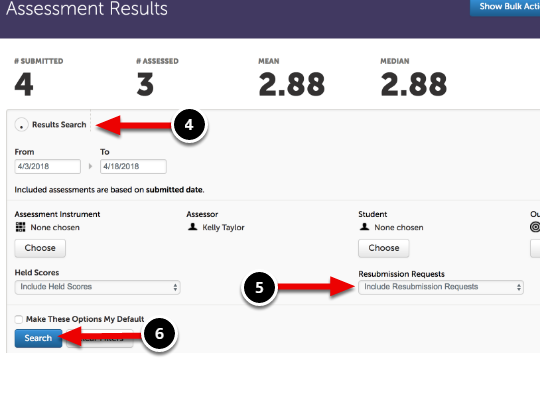 Reassess: Use this option if you are the Assessor and would like to reassess the resubmission. 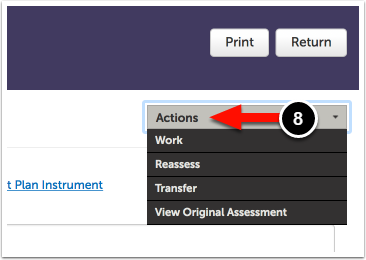 Transfer: Use this option if you would like to transfer the assessment to a new Assessor and/or Assessment Instrument. View Original Assessment: Use this option to review the submission that resulted in this resubmission. If you would like to view the student work associated with the prior submission, use this option.